I’ve been working on my podcast This is Life Unfiltered for over 50 weeks now! Time really flies by when you run a podcast. I think it’s because you spend so much of your time working on every episode, creating the graphics and editing the episode that every Wednesday (the day that mine goes out) you feel like you’ve just released the episode the week before. If you’re looking to drastically speed up your weeks, start a podcast! Tons of you reach out to me asking for advice on starting a podcast which is why I wanted to put this post up so I don’t have to say the same stuff over and over. I will tell you that running a podcast is not easy. I have learned so much over the past 50 weeks including a lot about time management & financial management. Running a podcast is nothing like running a YouTube channel or putting up Instagram videos: the podcast is so different and unique in the audience that it will bring in as well as the amount of effort you have to put in to make yours successful. Don’t get frustrated because you can’t figure it all out in one day, podcasts are kind of like math and when you get the swing of things you’ll get yourself into a routine and everything will get easier. Stay consistent. The most successful podcasts are successful because they go out every “Wednesday” at the same time. Their social media is solid. Don’t start a podcast to make money. I can tell you I’ve made less than $300 since I started This is Life Unfiltered and have invested over $1,000 into it. I do it because I love it. Like I say about EVERYTHING: follow your passion and the rest will come. Decide what you want your podcast to be about. Research other podcasts on the podcast app. Like my blog, I started my podcast before podcasts were the big “thing” and now everyone has one. What makes yours unique? Make a list of guests you’d like to eventually have on: include the big names and the small names. If you want to get really specific put a few words about what you’d have every guest speak on. Put this all into an excel sheet so you have it on file when you launch. Buy a microphone. Buy this one actually. This microphone is great, not super expensive and picks up such good sound. Like if you even breathe the microphone will pick up that sound. NOTE: You can’t use two of these microphones at once. I learned this the hard way after buying two microphones (one for me and one for my guest) before having to go through h*** to get the company to refund my money for the second mic. They make it so difficult for you to use two mics at once, so I’d suggest buying a second mic only if you have a co-host or if you plan on constantly having multiple guests at once. Get intro music. Use Fiverr or Upwork to have someone create the intro song for you. You’ll know what that means if you’ve listened to other podcasts. Every podcast has a unique little jingle at the beginning. It cost me about $20 max. I’ve never switched intro songs. Get GarageBand. Get EchoRemover. I had a Mac when I started This is Life Unfiltered and have always had Apple products so I can’t vouch for what you need if you don’t have a Mac computer. But I use GarageBand on my MacBook Pro and it’s the easiest way to edit the podcast. EchoRemover is $99 and a plug-in to GarageBand. It’s probably the best $100 I’ve spent on the podcast because it’s genius when you need to remove the echo from your episodes and almost every episode will have an echo unless you’re not talking and just breathing. If so, dope idea for a podcast. Get an awesome cover designed! I used 99Designs to design my cover, which is much more expensive than other companies. However they offered to sponsor my cover and I saved about $300 with their sponsorship. I’ve had over 3 podcast covers since I started- the first 2 being other designs I found online and paid. You can simply put a job up on Craigslist that says “looking for graphic designer for small project” or make the cover art yourself if you know how to. You truly evolve with your podcast. 99Designs is also the company I used to create the new Life Unfiltered with Alexa BUT I paid the full amount that the designer charged on the website and it was expensive. But I love 99Designs. Once you’ve done all of the above, submit your podcast to the app store. It’s easy to do that, just Google it. Then create a SoundCloud account. Create a Libsyn account. Link your RSS feed. That all sounds fancy but don’t worry it’s not and there is a ton of advice iTunes gives you along the way. 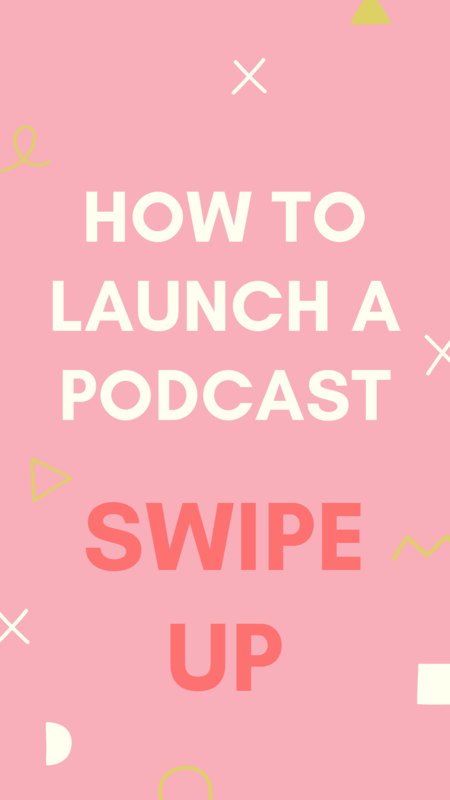 In the meantime, it’s going to take some time for you to get your podcast approved on the app store so work on finding your guests and pitching them. I highly suggest having over 5 episodes in the vault before you launch. Every podcaster will suggest having at least 5 on hand before you launch so that you don’t freak out on a Tuesday night at 6 PM when you remember you have no episode for a Wednesday morning. For the first 6 months of This is Life Unfiltered I was waking up at 3 AM to click “publish” on Libsyn (my hosting site) before I realized you can auto-schedule your episodes. You have to use Libsyn to do that and it’s super easy. I have the most expensive plan (I think it’s about $23 x month) on SoundCloud & Libsyn for storage because I hate running out of storage and then they start deleting your episodes and it’s frustrating, so make the investment. You won’t regret it! Have fun! Enjoy the journey! Podcasts are so personal and inspiring so if you’re starting one for the right reason you won’t have any difficulty getting people to tune in. On a side note, a one-sheet like the one below is a great example for a podcast. It’s important that you showcase your podcast in the best light and that’s usually done with a one-sheet to properly showcase what your podcast is about. The reason I like the one below is it’s informative and pretty: since podcasts are all audio based, you want to showcase something more than that with your one-sheet. Your one-sheet doesn’t have to be as long or “perfect” as the one below but I do like the idea of you putting your logo, your past guests and a short bio of what the podcast is about directly on the one-sheet. Something else you can do is use marketing tools on Libsyn and Apple Podcasts to help track the podcast stats and listeners. It’s important that you know who is listening to your podcast so that you can properly create content and episodes just for your listeners! Campaign Monitor has a bunch of fun infographics available for you to model your one-sheet off of. You can check them all out here. Good luck podcasting and designing your one-sheet!